The MONSUNO series is an epic boys action adventure series where kids discover, command and battle creatures with tremendous destructive potential. When a race to harness the power of Monsuno ensues between a group of everyday kids and the evil forces focused on destroying the Earth our heroes spring into action to defend the planet. 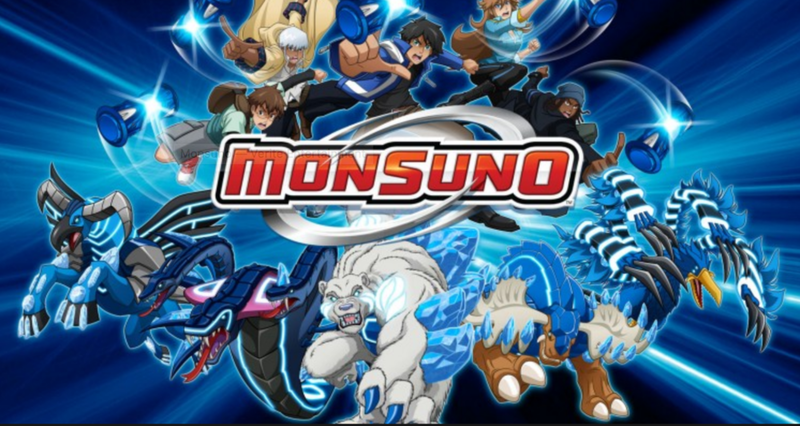 Built around powerful, action-driven animation, dynamic characters and a deeply woven original story mythology, MONSUNO provides a completely original entertainment experience.